Orion Security Solutions (OSS) has developed a comprehensive, enterprise solution to make our schools significantly more secure. With the ever-increasing threats and attacks on our students and faculty, school administrations must rethink their approach and priority to security. Stay tuned for more information! Our Global Expertise. Securing Your World. 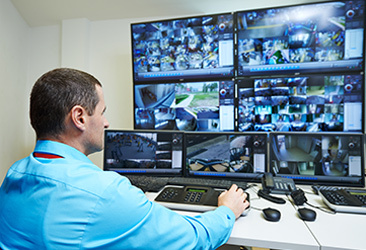 Orion Security Solutions has a staff of experts with comprehensive knowledge and experience implementing security technology solutions for simple and complex scenarios. Orion is proud to offer a state of the art platform that enables one-to-many facial recognition on-demand. AnyVision features camera agnostic software that can detect, track and recognize faces in extreme conditions. Using machine learning algorithms developed by a team of over 20 PhDs, AnyVision has overcome the tradional challenges posed by hats, glasses, partially obscured faces, and diverse ethnicities. Contact us today to schedule a demo and learn more! Orion Security Solutions’ (OSS) experts gained their experience from assessing, designing, integrating, and installing high quality security and surveillance solutions in U.S. Embassies, Consulates, and military bases on 6 of the 7 continents around the world.